One of the most popular TV show hosts in the country Sanam Jung has always left us awestruck with her skills, be it hosting the morning show or acting in TV dramas. However recently, the former actress announced that she would not entertain the audience anymore, meaning we won’t be able to watch Sanam Jung every morning now. The host revealed this shocking news in her last show which came as surprise to her fans and followers and they couldn’t stop their tears. 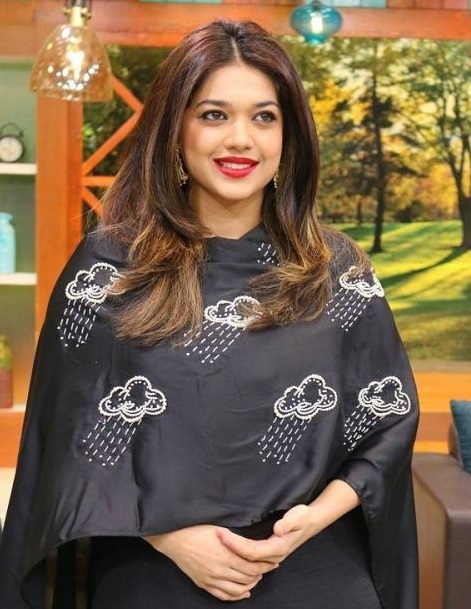 However, Sanam Jung didn’t reveal the reason behind the news but she hoped that she might come back if she gets a better offer in the future. I want to apologize everyone for not informing you before but I am sure that the show will be aired again soon with some changes. I am sure it will turn out to be the better one. As soon as she revealed the news, other morning show hosts extend their best wishes to her. One for her colleagues Nida Yasir said that she will surely miss Sanam as she is one of her favorite morning show hosts because of her spontaneity. Another actor-turned-host Sahir Lodhi also commented that Sanam has been doing an amazing job and he will be going to miss her presence.